In 2018, we’re excited to continue our working relationship with the Vanguard Business Group. The VBG consist of Titan Standard all-inclusive live event production, Production Essentials, Diffinity & Adaptive AVL. 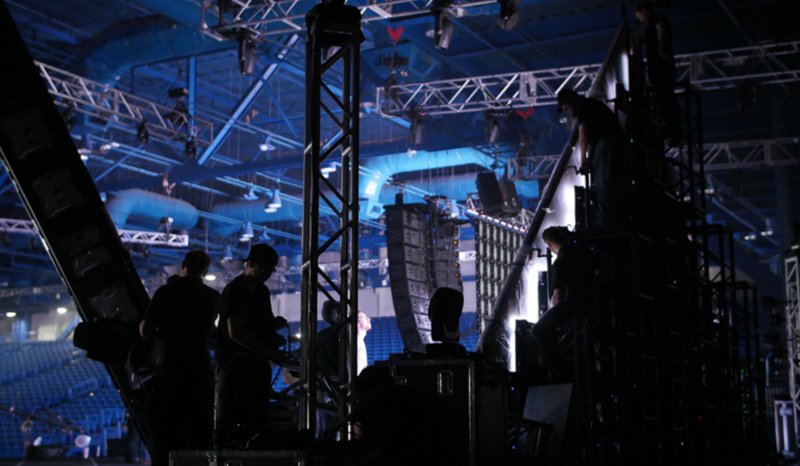 From corporate events to concerts, these guys are the experts to know and trust. Forged in 2015 from the merger of 3 groups of people and 2 existing companies, the Vanguard Business Group current portfolio is highly developed and dedicated throughout the communication industry. Vanguard strives to provide a higher standard in all areas of communication and provide our customers with a singular source for all of their communication needs. From permanent installation to a fully developed and executed business campaign, the way you are communicating your brand’s voice is important to Vanguard.